Enjoy daily yoga in Utopia's oceanfront studio, offers sweeping views of the beautiful Caribbean Sea in the heart of Tulum’s beach community. Rectangular in shape, props include mats, blankets, blocks, and straps as well as flat tennis balls and chairs if needed. Not included: flights to/from Cancun International Airport (CUN) and travel insurance. Guests are responsible for purchasing travel medical insurance and cancellation insurance which are also not included. 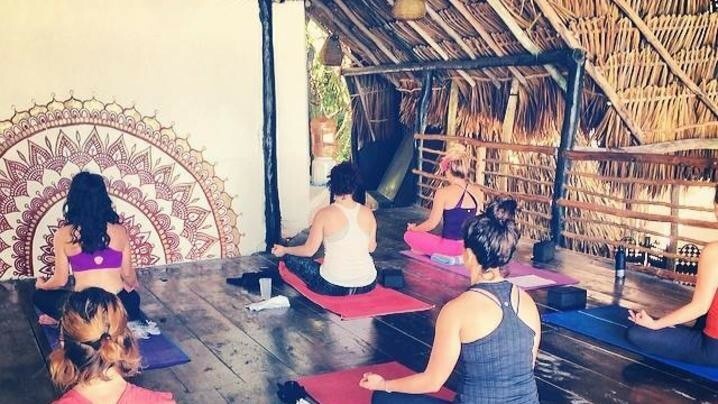 Utopia Tulum Guesthouse and Yoga Studio is the ideal setting for retreats in paradise that has come to fruition after years of research and focus on creating the perfect, affordable setting for yoga practitioners. 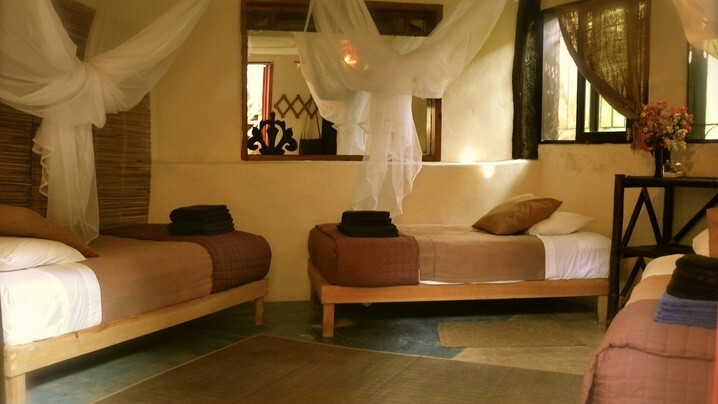 The accommodations are cozy and charming offering a wonderful home away from home for guests. The house offers open air living area, outdoor dining space and beach lounge both in the sun and hammocks in the shade on pristine beach. 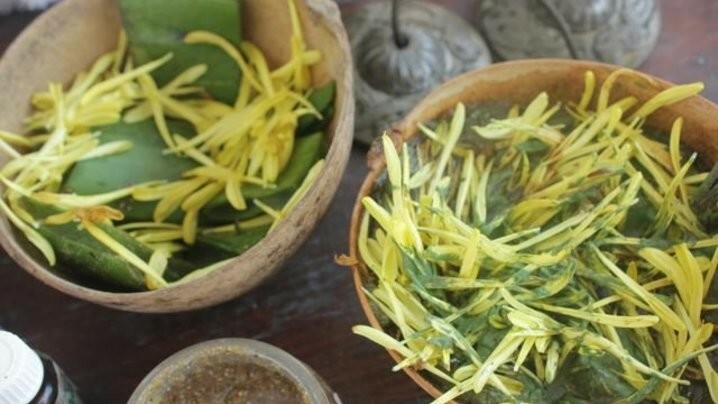 The staff serves up delicious Mexican cuisine during retreats and the receptionists are available from 8am until 8pm daily with a night guard on duty through the night. Utopia provides daily cleaning service as well as bath and beach towels, bath products, yoga mats and props. 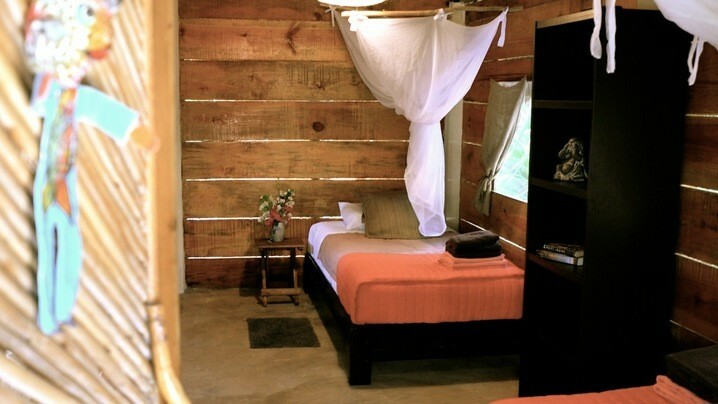 Tulum is an ecological zone which means rustic luxury. Utopia has electricity from dusk until around 11pm but solar powered internet 24 hours per day. Sheets and towels are changed only when necessary to conserve precious natural resources and offer ocean breezes instead of air conditioning. Most of the year the weather is very comfortable and you are lulled to sleep by the sound of the waves just steps from your bed. Utopia heats its own water for showers and tread lightly on the land that hosts us all. 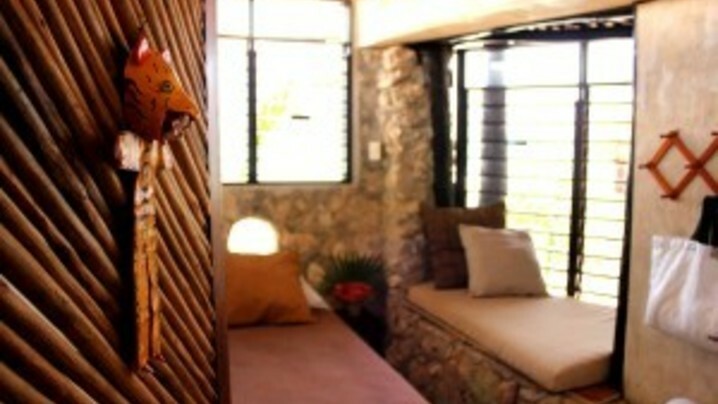 Tulum is about getting back to basics in style and comfort on one of the most beautiful pristine beaches in the world. I loved my trip to Utopia with Natasha. I enjoyed so many aspects of the adventure. The Caribean Ocean was spectacular, the sound, smell and visuals were healing for my soul. I have new dear friends that shared the adventures. I loved the yoga practices with Natasha. She has a gift of bringing peaceful and calming spirits to those around her. I would encourage this experience for any level yoga lover. Experience of a life time, I couldn't think of a way to have made this trip any better. Teaching yoga on the beach in the beautiful yoga room was the perfect setting. The picturesque scenery and earth connection in the house was breath taking. The Shaman massage was unexplainably life changing. Friends and connections were made that will carry in my heart. Definitely coming back. I could not have asked for a better group of people, location, staff or ambassador. This was an overall amazing and life changing trip. All the staff were over the top helpful and attentive. The location was absolutely stunning. The massage was something I cannot even put into words, something I've never experienced before. The mud ceremony was a great close to our adventure and a memorable one at that! I cannot wait to book my next trip!!! I thoroughly enjoyed myself, had a great yoga and meditation practice, made lots of heartfelt connections, and had just the right amount of sun. The retreat was fantastic! The teacher was awesome and nurturing, the yoga deck a perfect place to practice, beautiful view! 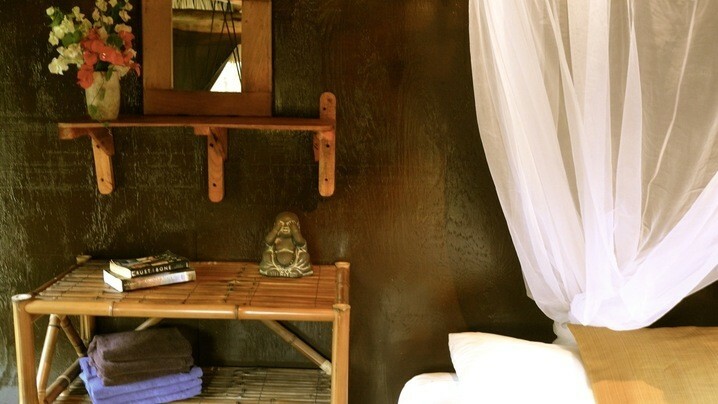 Utopia is super low key, "rustic" , a great way to detox from the bustle of a big city life. 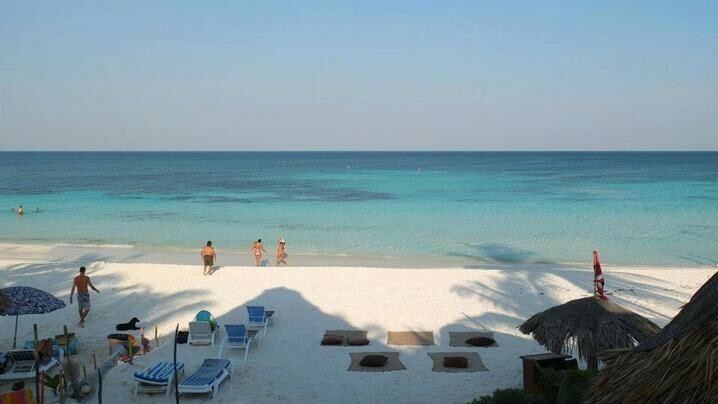 Tulum is safe with lots of great restaurants, shopping and activities. Loved my experience.